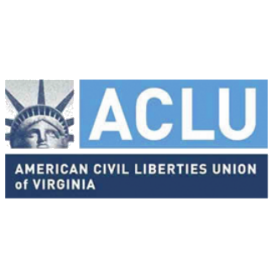 The American Civil Liberties Union (ACLU) of Virginia released the following statement by Executive Director Claire Guthrie Gastañaga regarding the U.S. Supreme Court’s decision in Glossip v. Gross regarding the use of the drug midazolam as part of a lethal injection protocol. Today’s narrow decision was very fact specific and does not mean that others sentenced to death could not prevail on a similar claim in Virginia or elsewhere. The Court emphasized today that its decision was about “likelihood of success” at a preliminary stage of a case and not actual success after all the evidence is in. The Court was very deferential to the district court’s finding of facts about the effects of the drug at the preliminary stage of the proceedings, findings that may not hold up after full discovery and trial. Moreover, the procedures used in Oklahoma and those authorized in Virginia are quite different, and no one in our correctional system should read this case as approving the way capital punishment is administered in the Commonwealth. Regardless of the facts of this case or the drug involved, however, the important question we should be discussing is not how we execute people, but whether we should be doing so at all given the reality that our capital punishment system is neither fair nor accurate. An estimated 1 in every 25 people on death row in the U.S. is innocent, and Virginia is not immune from the potential to execute an innocent person. As the American Bar Association found when it assessed Virginia’s death penalty process, the Commonwealth’s procedures are flawed from the law enforcement identification and interrogation process at the beginning to the post conviction process at the end. It is unconscionable that we are debating methods of execution when there is strong evidence that calls into question the basic fairness and accuracy of Virginia’s death penalty process. There is a growing consensus across the political spectrum that the death penalty is broken beyond repair, regardless of how we carry out executions or which drugs are used. The movement away from the death penalty is clear. A majority of states have abandoned the death penalty in law or in practice in recent years, including the traditionally “red” state of Nebraska, which just repealed the death penalty completely. Virginia should follow suit. Until repeal is accomplished, however, we urge Governor McAuliffe, the Secretary of Public Safety and members of the General Assembly to take all possible steps legislatively and administratively to ensure the current process is fair and accurate.